Is this Australia’s most expensive house? THE Sydney waterfront mansion owned by Singaporean businessman Mr C K Ow has just been listed by Ray White Double Bay and is likely to break the Australian house price record. Ray White Double Bay Director Craig Pontey expects the 3731sq m estate at 38B The Crescent, Vaucluse will set a new national record for its sheer scale and enviable deep waterfront access, tennis court, palatial home and jetty. Mr C K Ow, Chairman and Chief Executive Officer of Stamford Land Corporation Limited which owns and manages luxury hotels, commercial buildings and shopping centres in Australia and New Zealand, bought the estate through Mr Pontey 25 years ago. The once in a lifetime offering is for sale via an Expressions of Interest both in a campaign running locally and overseas. 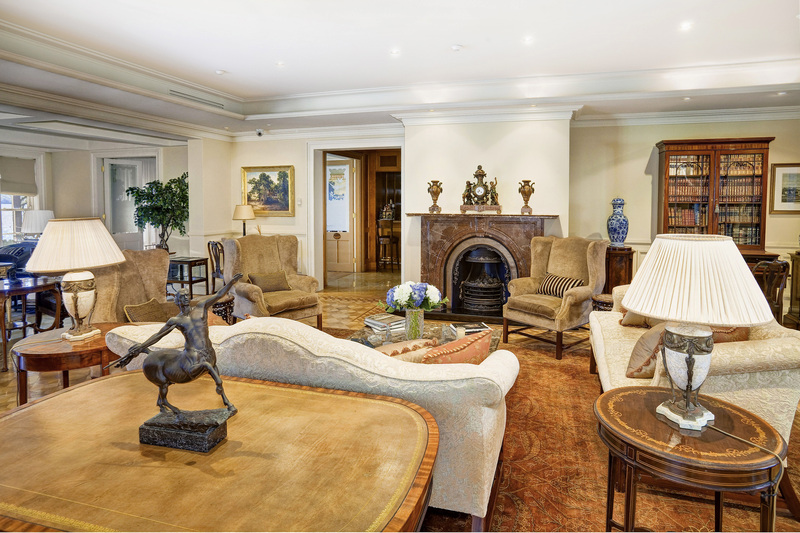 Mr C K Ow described his Vaucluse home as both “magical and irreplaceable”. “It is more than just a waterside home, it’s a seaside resort self-sufficient with all country club amenities,” Mr C K Ow said. To put the latest rare listing in context. “In April, the Fairfax family sold their Point Piper estate Elaine for $71 million to create the national record but it’s not on the waterfront, it’s beachfront,” Mr Pontey said. “Elaine is on a beautiful piece of land but it needs some work. And then there’s the Packer compound at 40 Wentworth Rd, Vaucluse, which sold in 2015 for $70 million and is also not a waterfront,” Mr Pontey said. 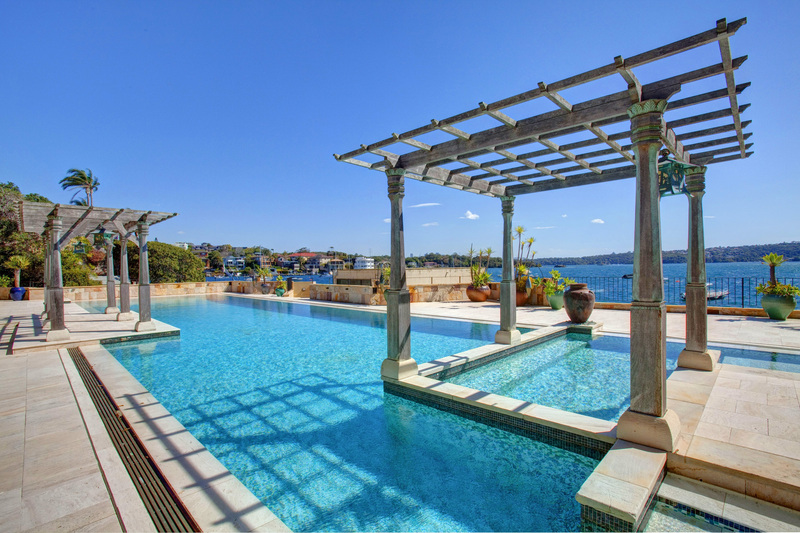 “What we have on offer at 38B The Crescent is a true deep waterfront access home on nearly an acre of land in Vaucluse so we are expecting it could to be the next Australian record,” Mr Pontey said, who has been selling luxury property in Sydney’s Eastern Suburbs for 37 years. “There is nothing like it on the market at all, anywhere on Sydney Harbour for that matter. “It is also nearly impossible to get an acre of land around the harbour in Sydney. There’s only a handful of homes like it both on the Lower North Shore and Eastern Suburbs with that much land. 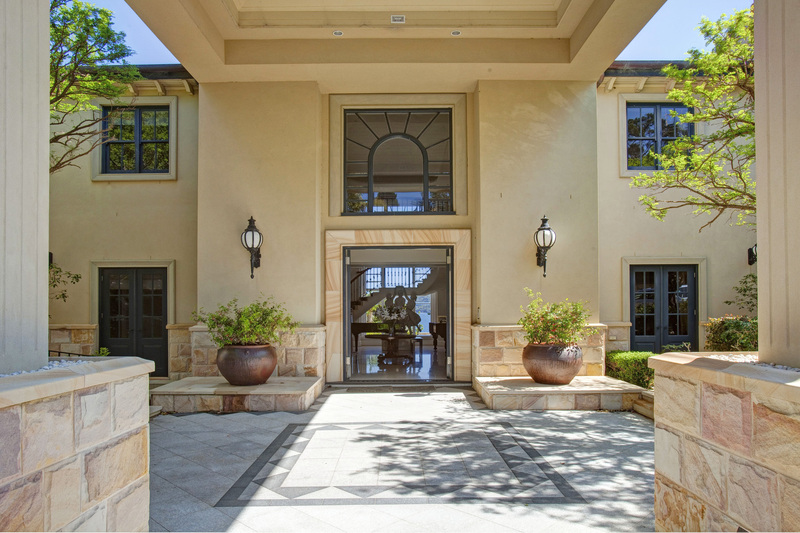 “It is very hard to get anything else of this scale, grandeur and with such high ceilings, plus a championship tennis court and the waterfront facilities which are the biggest bonus. “Not to mention a full English pub too,” Mr Pontey said. “It’s such a unique offering and they don’t come up very often. Mr C K Ow has lived there for nearly 25 years and whoever buys it this time will probably live there for another 25 or 30 years. Grand in sheer scale, architectural design and bespoke finishes, ‘Phoenix Acres’ is a palatial residence commanding iconic Harbour Bridge and city skyline views from a prized 3371sq m waterfront parcel. Featuring a rare 81m wide water frontage with private boathouse & jetty facilities. Opulent selection of indoor/outdoor entertaining spaces embrace the spectacular harbour outlook in absolute privacy. Exclusively set metres from Kutti Beach and Watsons Bay Village. 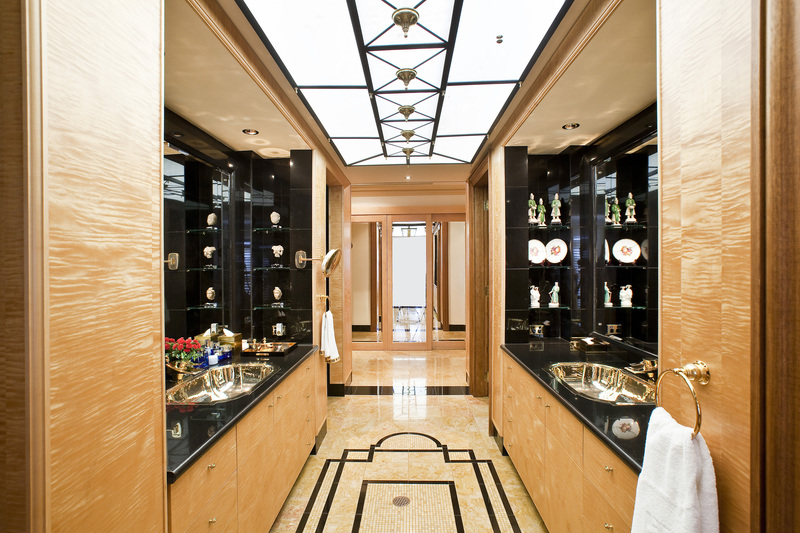 An enviable harbourfront lifestyle in a home of grand proportions.